The mbuna cichlids are found in Lake Malawi in huge numbers. It is aggressive in nature and usually very active. It is very popular because of these characteristics. This group consists of 12 genera. Most of them are colourful and make for an excellent display for any aquarist. They usually reside in rocky places, and this is where the name comes from as mbuna translates to rockfish. 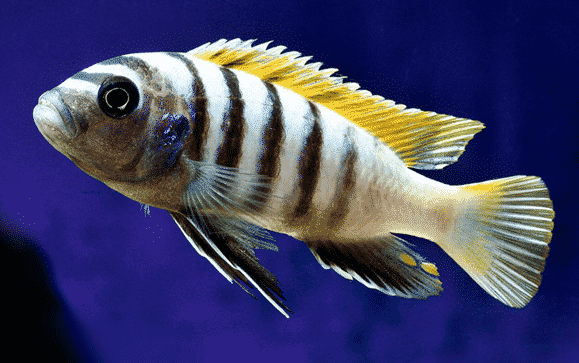 The zebra cichlid is one of the most popular among mbuna cichlids. 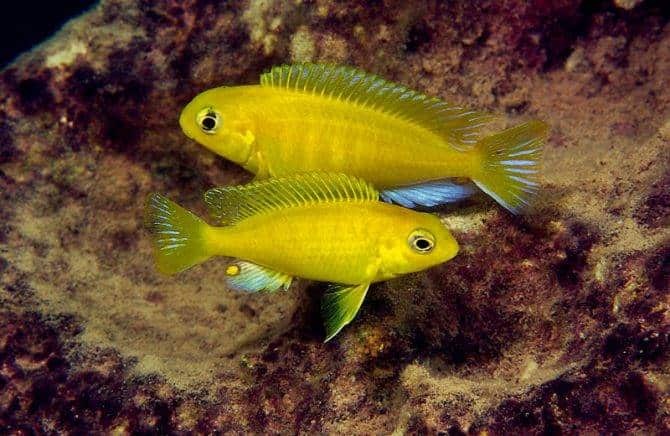 Initially, the mbuna cichlids belonged to the Pseudotropheus genus, but this is no longer the case as they have been moved into their own genera. 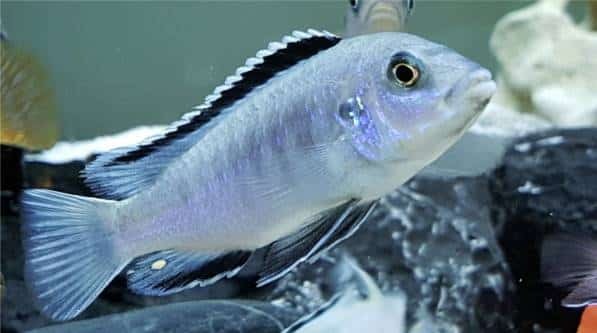 For instance, the zebra cichlids are now categorized into Maylandia, Pseudotropheus and Tropheops genera. These fish usually occupy big tanks and are placed in groups, which makes them the focal point of the entire setup. The zebra cichlid isn’t the only species of mbunas. 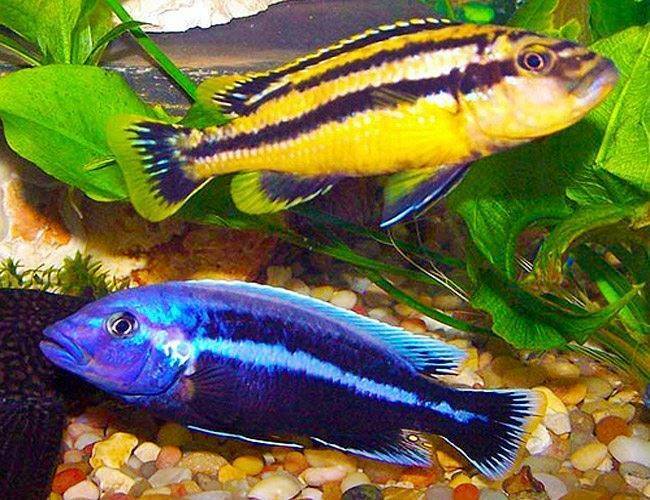 The fish in the mbuna category are usually full of colours and vibrant. 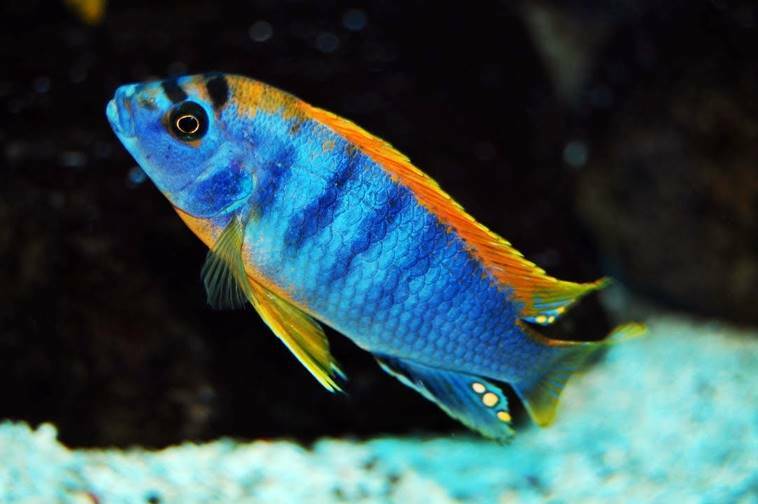 A mbuna can be identified through not just their bright colours but also their patterns which are numerous and eye-catching. The majority of male mbunas are blue, while the females are usually yellow. These colours are contrasted by a spattering of other colours and black bars. 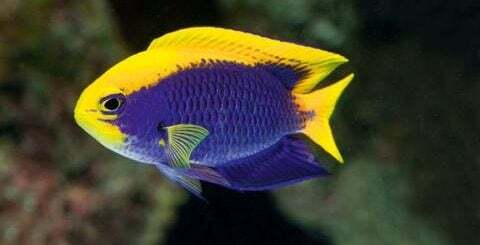 The vibrant colours are not the only thing that makes these fish desirable for aquarists. 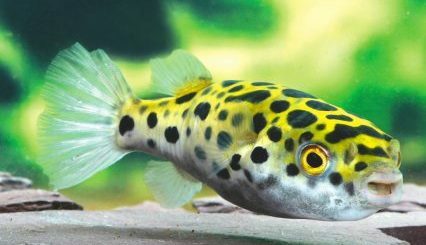 They are active and exhibit various behaviours that are different from other fish. They usually require a tank that contains rocky layouts to display their antics. These antics bring a life experience to any aquariums. The mbuna cichlid resides in heavy numbers in Lake Malawi. This is one of the largest lakes in Africa and was formed over a million years ago. It comprises two big valleys that never merged and were filled with water. This fish takes up residence on the rocky shores of the lake. This is because it prefers rock dwellings as they provide considerable places to hide. Its name comes from the very same fact. It can be found in large numbers around small islands and near the beach. The rocks not only provide the mbunas with natural protection and hiding places but also give them room for spawning. Their diet consists of insects and crustaceans. These are usually found in the form of algae, which are consumed by these fish. The algae are found around the rocks. The mbuna cichlid consists of various species. Most of these species require the same level and conditions of care. They can be placed in the same tank, have similar water conditions and be fed the same foods. This makes it easier to take care of a wide variety of mbuna cichlids. They all require basic care which any aquarist needs to take into consideration. The mbuna fish come from a very big lake and require water conditions identical to the lake they come from. Clean and clear water is an absolute necessity for these fish. The water needs to have an ample amount of oxygen and should be devoid of pollutants. Hence, a big filter is required to ensure optimal living conditions for the mbuna cichlids. The water needs to be changed weekly. This would ensure that nitrate levels are kept at low levels. A high concentration of nitrate can be detrimental to the health of the fish. 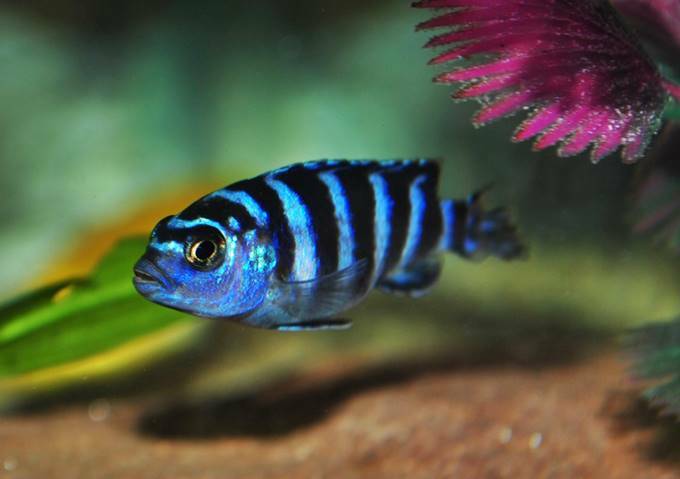 The chemical makeup of the water is also important to consider to ensure you provide optimal care for the mbuna fish. Lake Malawi has always been rich in minerals. The fish, therefore, require mineral-rich water. For this, a high pH level is very important. Salt may also be used in order to raise the mineral content of the tank. However, the salt used should be in very small amounts, as too much salt can have severe consequences for the fish’s health. These fish cannot survive in completely soft or acidic water. Hence, hard tap water would be optimal for their care. The tank they are put in should have ample rocky spaces so that the fish are in an environment they are comfortable with. These decorative rocks should have hiding places as well. 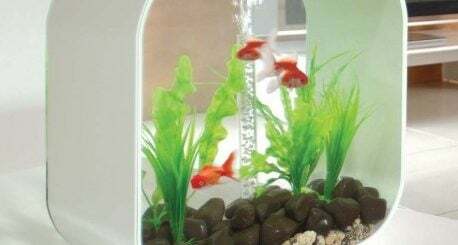 This would ensure proper care for the fish and keep them active. The diet of mbuna cichlids usually consists of Aufwuchs. Aufwuch is a German word which refers to growth on the surface. In this instance, the Aufwuchsgrow in the rocks that these fish reside in. They might have tiny organisms living inside with algae. These fish also feed on zooplankton, but that usually appears in the upper side of the water. Their different eating habits in times of food scarcity ensure that they do not fight each other over food at all times. However, in a tank, their diet does not need to be different. The mbuna fish usually grows to a great level because there is a lot of food fed to it various times a day. 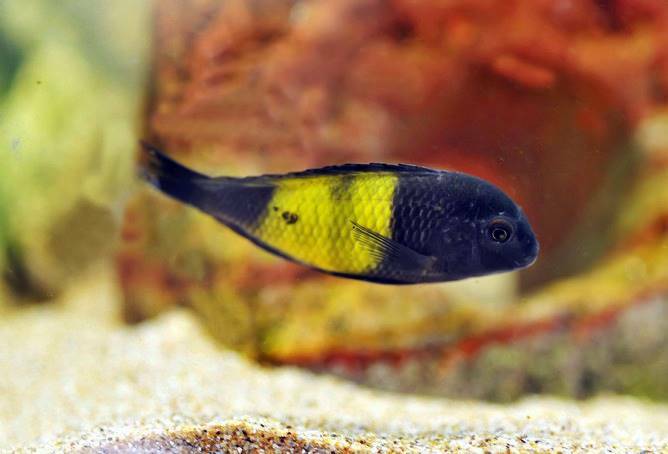 A diet of algae, proteins and vegetables is ideal when feeding the mbuna cichlid. 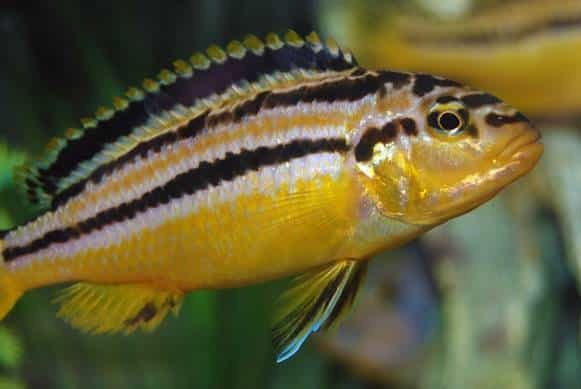 Food that South American carnivorous cichlids usually consume should not be fed to this fish as it could cause various problems. Another thing that should not be fed to these fish is bloodworms. They are high in chitin and can cause bloating. They are also very low in protein and are made up of water. This is a very bad food source for the mbuna cichlid. If an aquarist does not feed their fish for a day, the fish usually feed themselves through the algae formed on the decorative rocks of the tank. Owners should leave one day every week for this purpose. It results in a cleaner tank with fewer algae. The mbuna cichlids are classified as maternal mouthbrooders. They are not only beautiful to look at, but they also have a remarkable breeding process. All mbuna species have a similar way of breeding. They lay eggs, which are then taken into the mouth by the female. The mouth is where the eggs are warmed up and hatched. After hatching, the female takes the offspring out of her mouth. The offspring in this particular phase is referred to as the fry. This process of breeding is great for breeders. It helps the fish grow as a species too. The female does not need to stay in one place in order to care for and protect her eggs because they are always in her mouth. This makes movement and relocation possible when predators appear or food scarcity occurs. The males also do not have to protect their eggs from other fish, birds or reptiles. This ensures the breeding process is relatively safe even in the wild. Breeding this fish in captivity is a relatively easy process. The tank needs to have optimal living conditions. If all the needs of the fish are met, they have to be kept with each other in order to breed. Putting a mature pair of opposite genders in a tank would accomplish the task. The offspring are usually used by aquarists for creating profit. The mbuna cichlids are aggressive in nature. All mbuna species have some form of aggression, regardless of their size or frame. Male mbunas often want to be the alphas. This temperament exists even in the wild in Lake Malawi. The male fish often try to take the territory of other fish because of their highly territorial nature. They should be kept in large groups with fish from the mbuna species because they require similar water conditions and can coexist. A small tank, however, will result in continuous territorial fights among the fish. If the rock decorations are not around, that could lead to further fights. These fish are compatible with others of the same species in large groups, a large tank and numerous rocky places to reside in. If any of these conditions are not met, it could result in numerous fights that could be extremely detrimental to the fish’s health. The Malawi bloat is one of the biggest diseases that could affect the mbuna fish. This could arise from a poor-quality feed, excessive feeding or poor water conditions, though overeating is the common cause. This problem usually results in the death of the fish. Their necks and bellies become abnormally large. This is a huge sign to check for the Malawi Bloat. The mbuna cichlids can also be affected by most diseases that affect other freshwater fish.